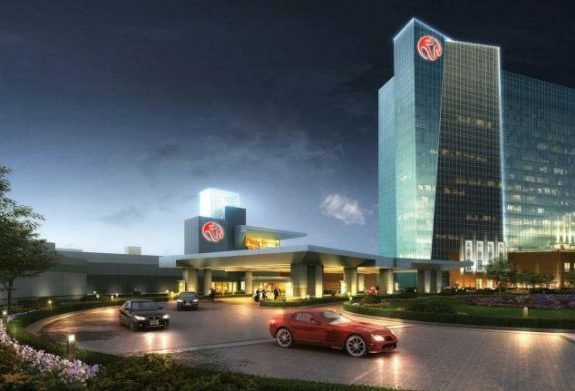 Resorts World Catskills offers an unmatched experience in excitement, entertainment, and luxury. The 18-story luxury hotel, located in Monticello, N.Y., can be seen by all visitors coming into Sullivan County via New York State Route 17. This $1.2 billion project is expected to draw up to 4 million new visitors to the Sullivan County area each year. Guests will be able to choose from more than 150 live Las Vegas-style table games, 2,150 state-of-the art slot machines, the largest poker room in New York, and private gaming salons. Resorts World Catskills also features 10 varied bar and restaurant experiences, including fine dining, and Cellaio, an Italian steakhouse created by celebrity chef Scott Conant. Year-round live entertainment will be available for visitors at the 2,500-seat RW Epicenter, which will host regular events and concerts. Upon completion, the hotel will feature 332 luxury suites, including 27 premium accommodations consisting of garden suites, penthouse suites and two-story villas. Additional hotel amenities include a spa, two indoor pools, and two fitness centers. A Rees Jones-redesigned 18-hole golf course and four-season indoor water park space with luxury hotel are also planned, slated for a 2019 opening.